The end of the year is upon us, and as we’re moving out of October and November into December, the preparations for the festive season gets started. 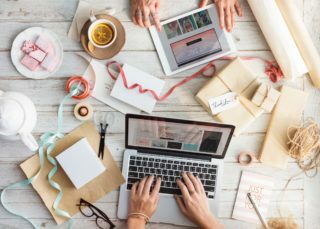 During this time, work halts, the year draws to a close and friends and family inevitably come together in a continuous string of social gatherings, straight through to the new year. 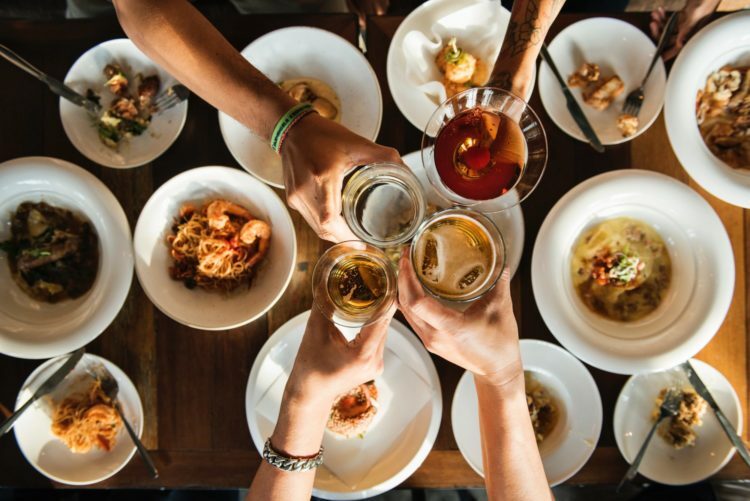 While we love to meet up with the loved ones we haven’t seen in months or spend the festive season catching up around the table, this time of year unfortunately does not involve the most healthy of habits. Every year, this is the time where people let go for a few weeks and overindulge – meaning that, come January, damage control must be done. This is because this is a time when we love to eat out often, enjoying more alcohol and sugary drinks than usual. This is therefore a time of the year when there are many challenges with regards to maintaining a healthy lifestyle as exercising also becomes less of a priority. This is not to say that we should not take some time to relax and indulge in our favorite foods – it is allowed. Just remember to keep it at moderation. Remember that you have the power to maintain a healthy balance this holiday season, you are in charge! “Do not use this period as an opportunity to make bad food choices and ignore your exercise routines. In fact, this is a great time of the year to get active by doing fun activities such as taking walks, playing with your children in the garden or even exploring your holiday destination on foot,” says Gert Coetzee, Pharmacist and Diet pioneer who founded The Diet Everyone Talks About. Below he lists 5 top tips that will help you enjoy your Christmas holidays, while making sure that you maintain your health. There is a lot of unhealthy food being offered during the festive season, but as tempting as it is, stay away from fatty, sugary, carb-filled foods. While these may look and taste good for a second, they actually tend to make you feel worse afterward. Who wants that over December? Too much saturated fat in your diet can raise your cholesterol levels, which can increase your risks of heart disease. Instead, stock up on healthier options such as whole-grains, vegetables, fruits, lean meat and seafood, and while you are planning the meals, ensure that you look for several healthy and delicious recipes that you can try out. Whatever you do this festive season, make sure that you drink water every day. Why not add some strawberries, lemon, pineapples, watermelon or cucumber to your water to add some flavour? Drinking water can help you feel full and prevent you from overindulging in sugary, fizzy drinks. Being hydrated will also help prevent hangovers and sugar crashes if you do happen to overindulge. Make sure that you start your day with a wholesome breakfast. Breakfast helps fill you up until lunch time and can help prevent you from snacking on sugary treats. It also maintains your metabolism and glucose levels, promoting weight maintenance. Maintaining physical activity over the festive season can contributes to a healthier and a happier lifestyle. Physical activity releases endorphins that trigger a happy feeling, which is why people who exercise are less stressed and generally live longer, happier and healthier lives. This is the time when friends and family come together, so why not get them involved. Come up with fun activities that you can all enjoy while bonding and getting in some exercise. Click here for the benefits of stand-up paddleboarding, which, if you’re headed to the coast, is the perfect activity to get the friends and family involved. Sweets, chocolates and cakes that come after a wholesome meal are unnecessary and are extra carbs that will affect your weight and your health in a negative way. If you are going to have an after-dinner snack, keep your portion size small or go for healthier options such as nuts, berries, biltong, chocolate-dipped fruit skewers and whole-wheat biscuits or crackers with a healthy dip such as guacamole. 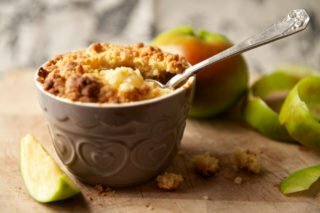 Here’s a delicious gluten-free recipe for ‘Paleo Apple Crisp’ that you can try out as dessert or a sweet treat to nibble on. Peel, core, and cut the apples into large wedges. Combine the apples with the zests, juices, and spices. Pour into the dish. Combine the flour, coconut sugar, salt, coconut flakes, mix thoroughly. Add in the cold butter in the bowl with the dry ingredients. Using a pastry cutter (or your hands as a last resort), mash and cut the butter into the dry ingredients for several minutes, until you have pieces the size of peas. Place the crisp on a sheet pan and bake for 40-45 minutes until the top is brown and the apples are bubbly. Add some fresh whipped cream for a decadent yet healthy dessert.